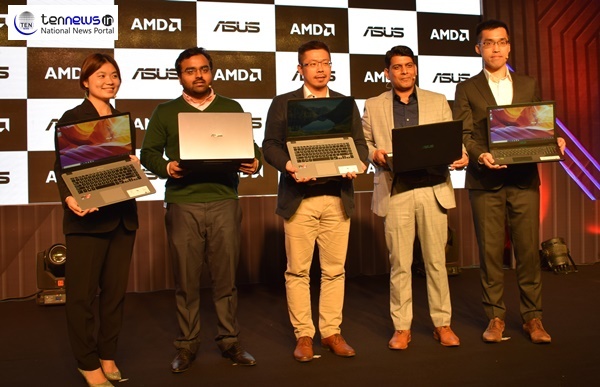 New Delhi: ASUS today announced the new F570 gaming laptop and the thinner and lighter VivoBook 15 (X505), featuring the latest AMD Ryzen 5 processor with up to 8GB DDR4 memory and AMD Radeon Vega8 graphics. Consolidating its partnership with Paytm Mall, ASUS will make both the laptops exclusively available on the e-commerce portal for the 1st month. ASUS Gaming F570 is a Stunning and Lightweight laptop. The look of the laptop can arrest anyone’s attention, with a smart and sophisticated Reaper Black finish, only made better with Lightning Blue edges. With a 21.9mm profile and weighing only 1.9kg, F570 is amongst the lightest high-performance laptops. The Gaming F570 is powered by the AMD Ryzen 5 Processor, making multitasking effortless and convenient. It also features AMD Radeon Vega 8 graphics for flawless visuals. ASUS VivoBook 15 (X505) is Amazingly Compact, Thinner and lighter than ever before, VivoBook 15 (X505) cuts a sharp 18.9mm profile, weighing only 1.6kg. Powered by NanoEdge display, VivoBook 15 fits in a 15.6-inch Full HD display into a frame slightly larger than those typically used in 14-inch laptops.